551 class="post-551 page type-page status-publish hentry"
how bi can help you to make the decision-making in your business more assertive. Companies collect large amounts of data every day: order information, inventory, accounts payable, point of sale operations and, of course, customers. Companies also acquire data, such as demographic data and mailing lists, from outside sources. Unfortunately, based on a recent survey, more than 93% of corporate data is not used in the decision-making in current processes. Consolidating and organizing data to improve decision making can lead to a competitive advantage. Learning how to discover and leverage these advantages is exactly what business intelligence is. The amount of institutional data is increasing exponentially. In fact, it doubles every two or three years. More information means more competition. In an age of information explosion, executives, managers, professionals, and all workers need to be able to make better decisions faster. Because now, more than ever, time is money. Our Business Intelligence (BI) solutions are no longer important and better technology – they are about delivering more sophisticated information to the business end-user. BI provides an easy-to-use shareable resource that is powerful, affordable and scalable for your needs. The need to increase revenues, reduce costs, and compete more effectively has left behind the days when end-users were able to manage and plan business operations using monthly spreadsheet-based reports. Companies today need to deploy informational applications quickly to provide them to end users. Thus, quick and easy access to strategic information will quickly reflect, changing the business environment. 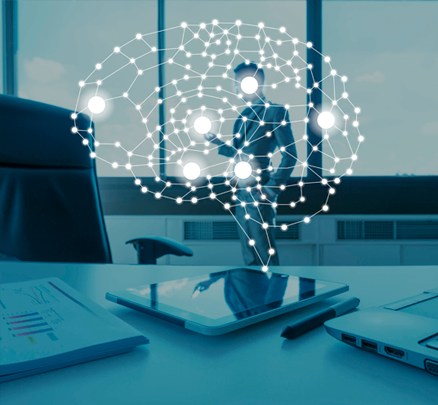 Our business intelligence systems are focused on accessing and delivering end-user information and bundled business solutions, as well as providing the sophisticated information technologies needed to process today’s business in training. Much more than a combination of data and technology, BI helps you create knowledge in a world of information. Get the right data, discover its power, and share the value. BI convert information into knowledge. Business intelligence is the solution that puts the right information in the hands of the right user at the right moment to support the decision-making process.